It's one of the best weeks of the year and for marching bands one of the biggest annual showcases of bands in the country. 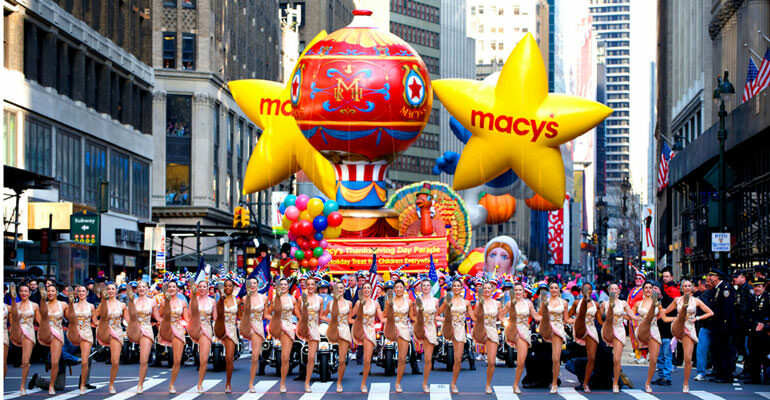 Since 1924, the Macy's Thanksgiving Day Parade has been entertaining audiences live in NYC and around the world on television. It's a spectacle like nothing else on Thanksgiving day. This year the parade will feature 12 marching bands from high school to college and few traditional bands as well. The MRDs are back and bigger than ever. This will be their 4th appearance in the Macy's Thanksgiving Day Parade. 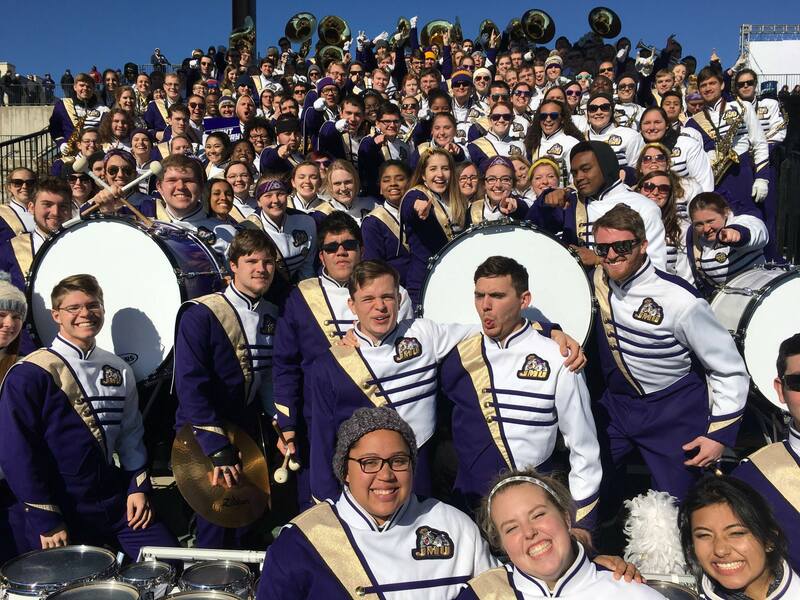 We've had the pleasure of seeing the JMU Marching Royal Dukes twice at the FCS National Championship game and to say that this band can crank it is an understatement. They will march 535 strong in NYC and should be a crowd favorite. They are the largest band in the college ranks this year and will not only impress with their size, but also their marching and musicality. They will perform Gershwin's "I Got Rhythm". Never heard of the RCC Marching Tigers? Go now and watch THIS. Imagine if the Blue Devils of DCI had a college program that they could experiment with. That's RCC in a nutshell. We can't wait to see what they do in NYC. They'll be perfoming "Sing, Sang, Sung" by Gordon Goodwin. Do. Not. Miss. Them. 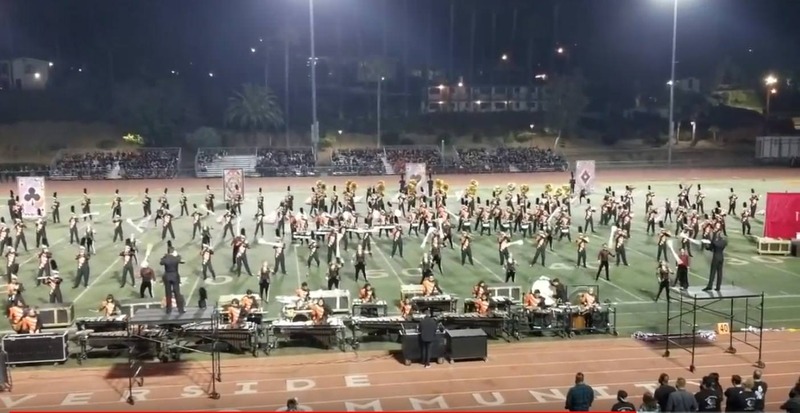 If there is any band that can challenge USC for the title of "Hollywood's Band" its RCC. 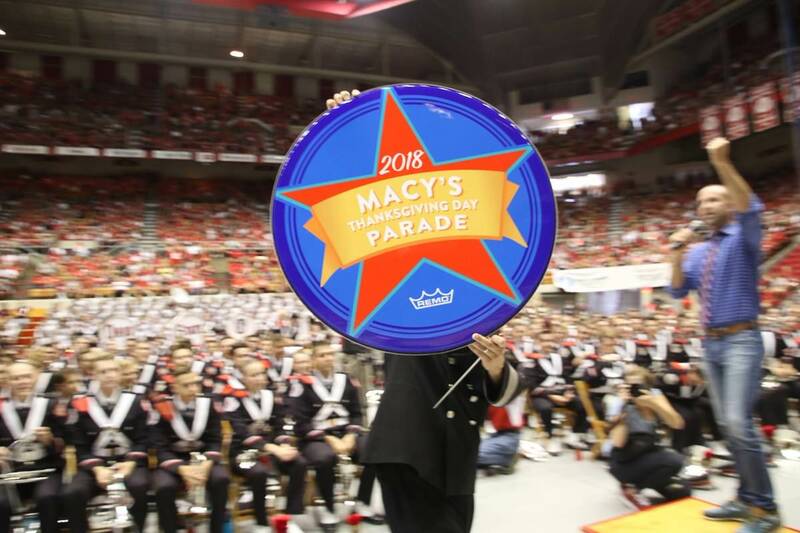 Making their Macy's Thanksgiving Day Parade debut, the Ohio State Marching Band aka TBDBITL, will be bringing a lot of eye balls from Buckeye nation to the parade. Last season we spent a game day with TBDBITL and got to see their work ethic and performance in person. There aren't enough words to describe how meticulous this band is about both their marching and playing. A game day at Ohio State is quite special and we encourage you all to go experience it. We all know what this band does on the field, but the big question is will they play it safe or will we see some moving pictures in their feature performance at Herald Square? Either way they will impress. The band is set to perform "Lullaby of Broadway" by Harry Warren. Cicero-North Syracuse High School Northstars Marching Band - Cicero, NY - The band will march 125 and will perform "On Broadway"
Grants Pass High School Marching Band and Color Guard- Grants Pass, OR - The band will march 233 and will perform "Somewhere over the Rainbow"
Homewood Patriot Band - Homewood, AL - The band will march 400 and will perform "Swanee" and "Alexander's Ragtime Band"
Keller High School Marching Band - Keller, TX - The band will march 395 and will perform "Gloria"
Lafayette High School Mighty Lion Marching Band - Lafayette, LA - The band will march 205 and will perform "Let it Snow"
Park Vista High School Marching Band Performers - Lake Worth, FL - The band will march 220 and will perform "A Countdown to New Year"
Woodland High School Wildcat Marching Band - Cartersville, GA - The band will march 202 and will perform "Joyful, Hallelujah"
Each year the parade also brings in the crowd favorite NYPD Marching Band which is a group of active police officers who come together to march for special NYC events. And of course there is the Macy's Great American Marching Band! The band is made up of 224 marchers from high schools across the country. Have a happy Thanksgiving and congrats to all the bands in this year's parade!